Five trains, two hotels and one very sticky tube ride – that’s been my week so far. You may think it’s because of fashion week but this is my weekly routine and it kills me. Packing and unpacking is monotonous and you would think I would have got used to it by now but somehow I always forget something! 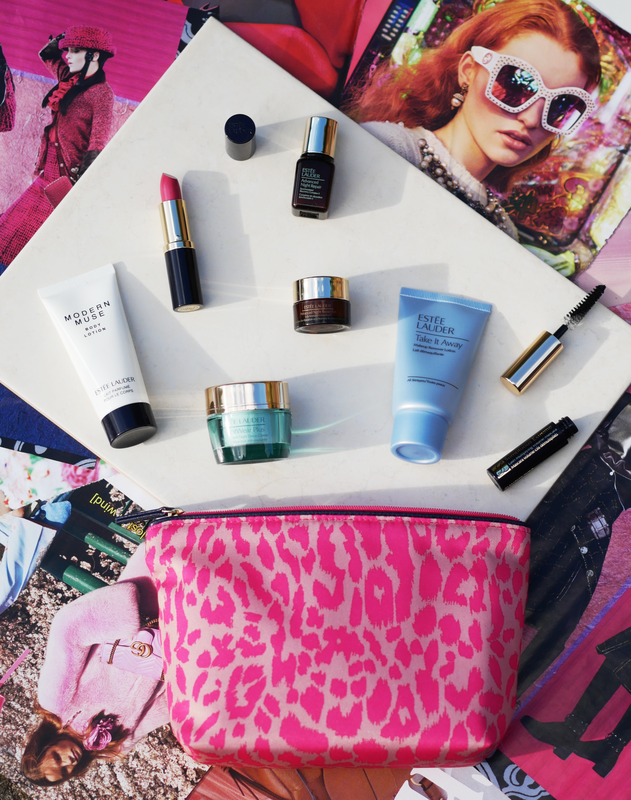 THANKS TO ESTÉE LAUDER THOUGH, I HAVE MY TRAVEL BEAUTY ESSENTIALS NAILED. Hot pink is all the rage at the moment and I would like to personally thank Chanel for making it fashionable once again! Pink leopard print makes me want to scream – YES! 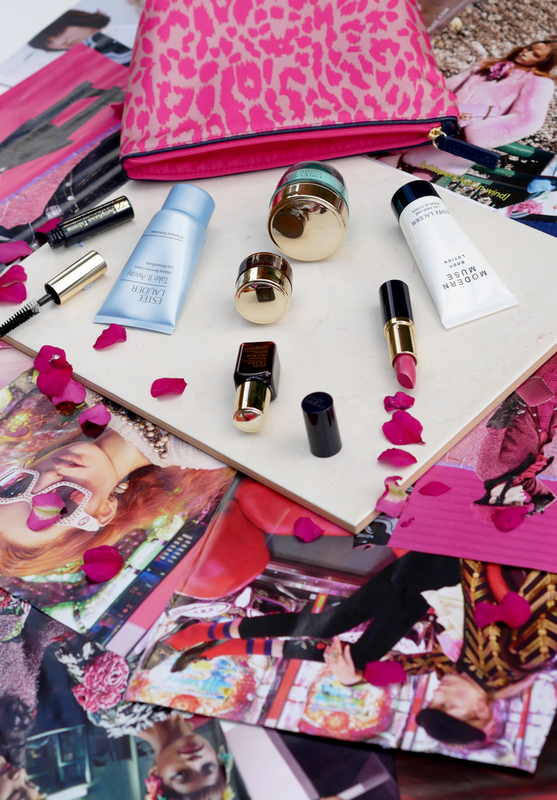 So I had to pick this up when I saw it in Debenhams.Packed with all of my favourite products in miniature sizes it’s ideal to keep in my suitcase ready to grab at any moment. Meaning I don’t have to lug my normal sized products across the country several times a week. 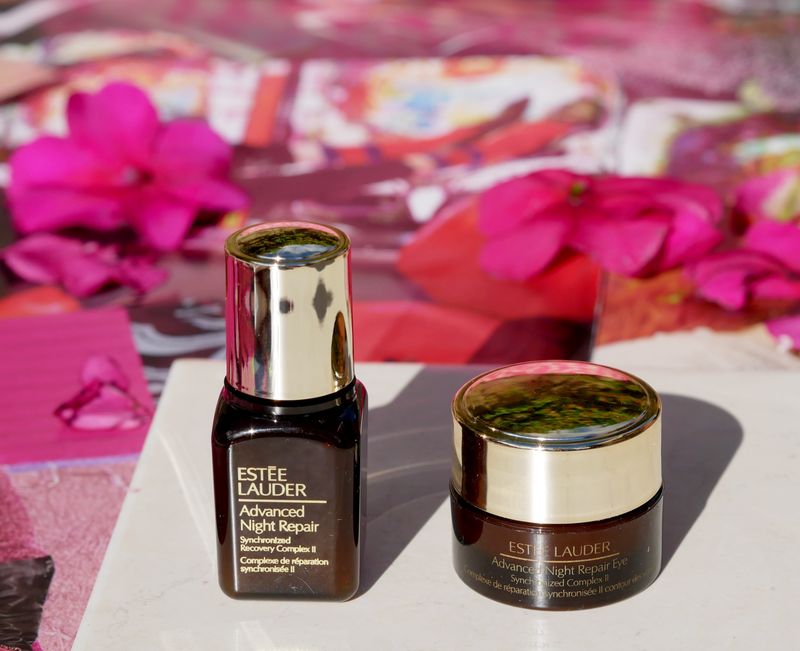 My evening routine has consisted of the Estée Lauder Advanced Night Repair Eye, Advanced Night Repair and Night Wear Plus Crème for some time now and my skin has taken a turn for the better. The fine lines around my eyes have got considerably fainter which are my main concerns at present so I really recommend the eye cream. 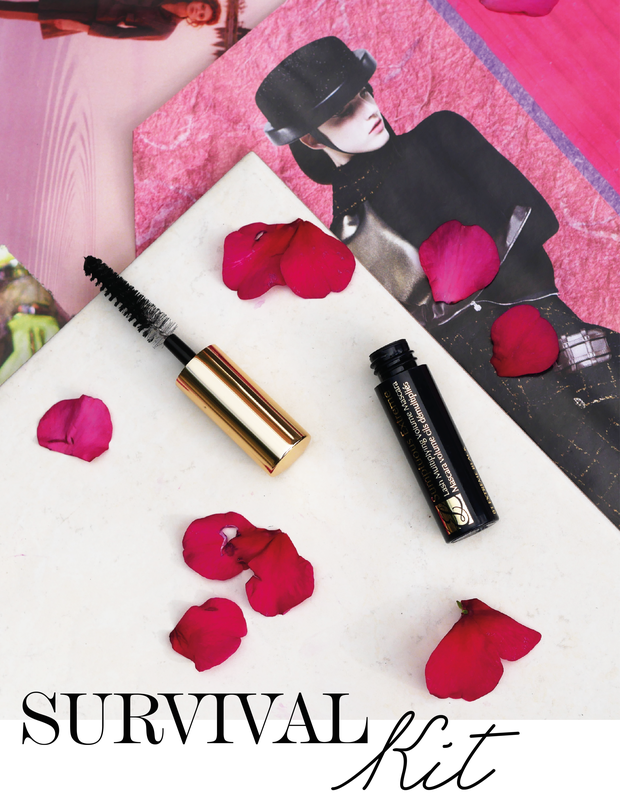 It’s been proven to reduce the look of every key visible sign of eye ageing: fine lines, wrinkles, puffiness, dark circles, dryness and uneven skin tone. As I approached my late twenties I really wanted to step up my skincare game so I could tackle wrinkles before they even began. 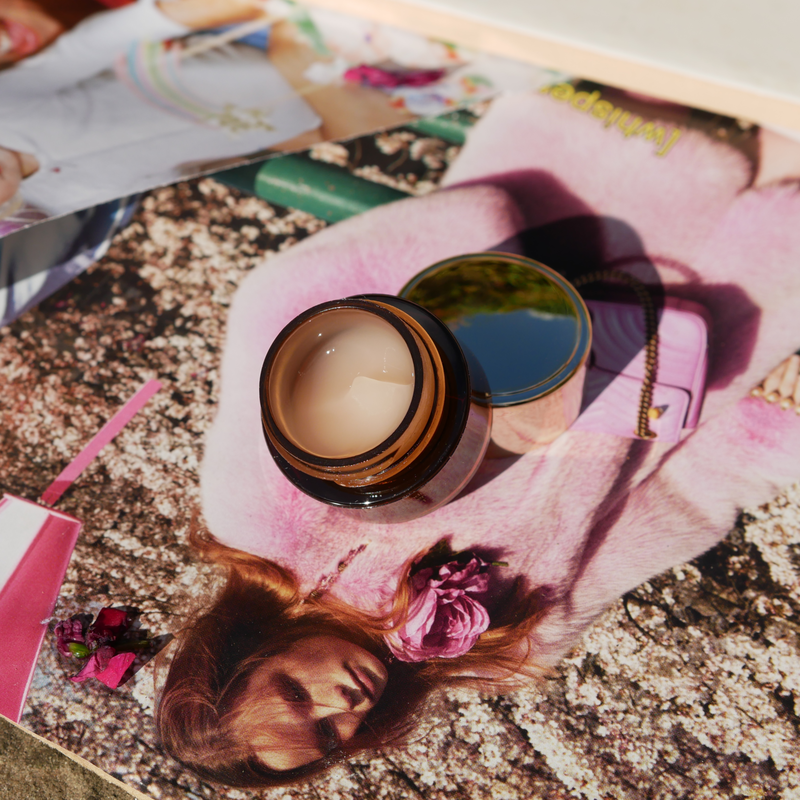 I was really intrigued to try out Estée Lauders exclusive ChronoluxCB™ Technology as it’s said to maximise the power of skin’s natural night-time renewal. Using a serum prior to a night cream gives me that extra bit of security allowing my skin to get as much treatment as possible. 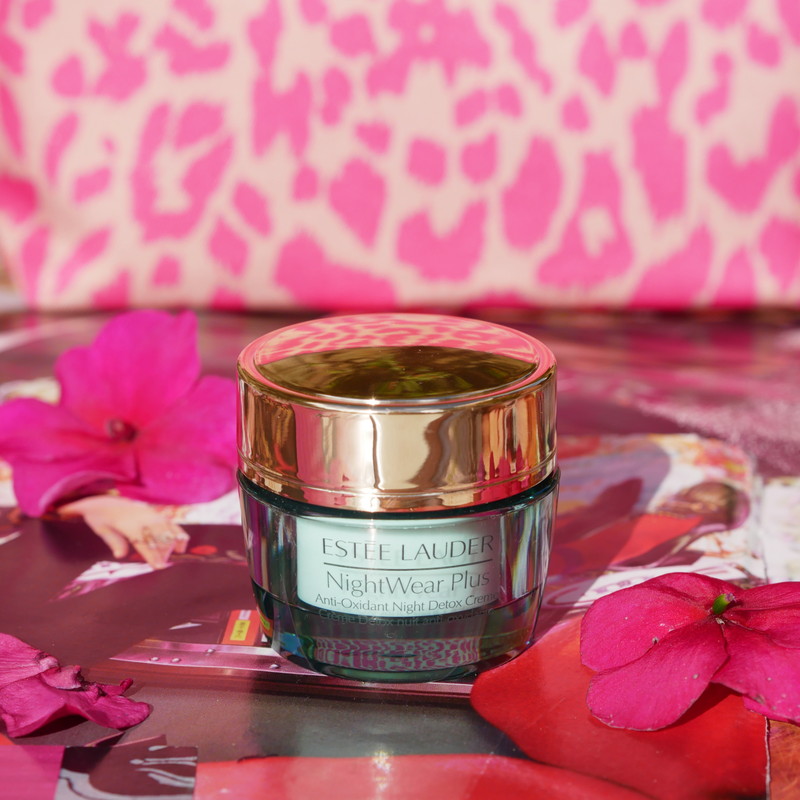 With travelling constantly, especially in London, my skin often gets clogged which is why Estée Lauders Night Wear Plus appeals to me so much. 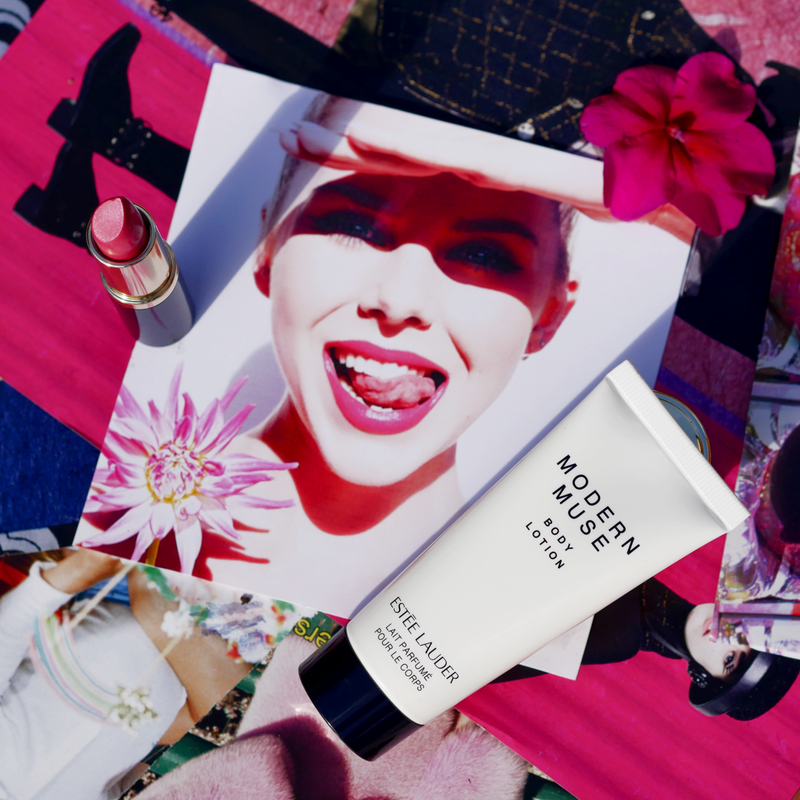 The lightweight night cream helps skin detox from the visible effects that accumulate during the day—purifying and refinishing skin’s surface and visibly reducing pores. I often breakout from travelling and since using Take It Away makeup remover I’ve found it really settles my skin. It contains Aloe Vera and other botanical ingredients which help calm and soothe skin, leaving it clean, soft and supple, with no oily residue or greasy afterfeel. 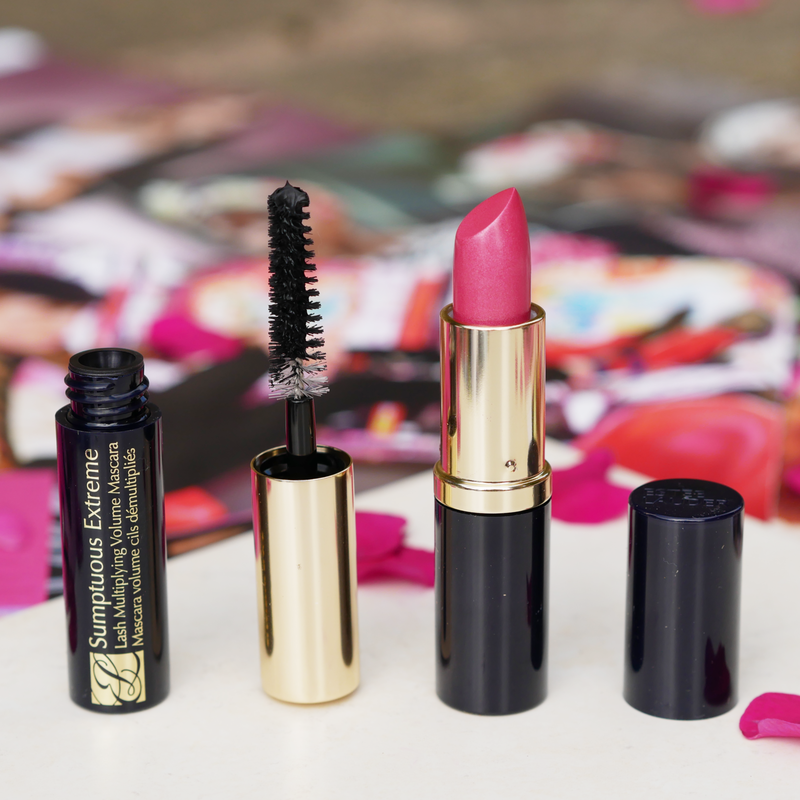 A nifty size mascara and hot pink lippy to add to the mix and I’m definitely all set for London Fashion Week this weekend! 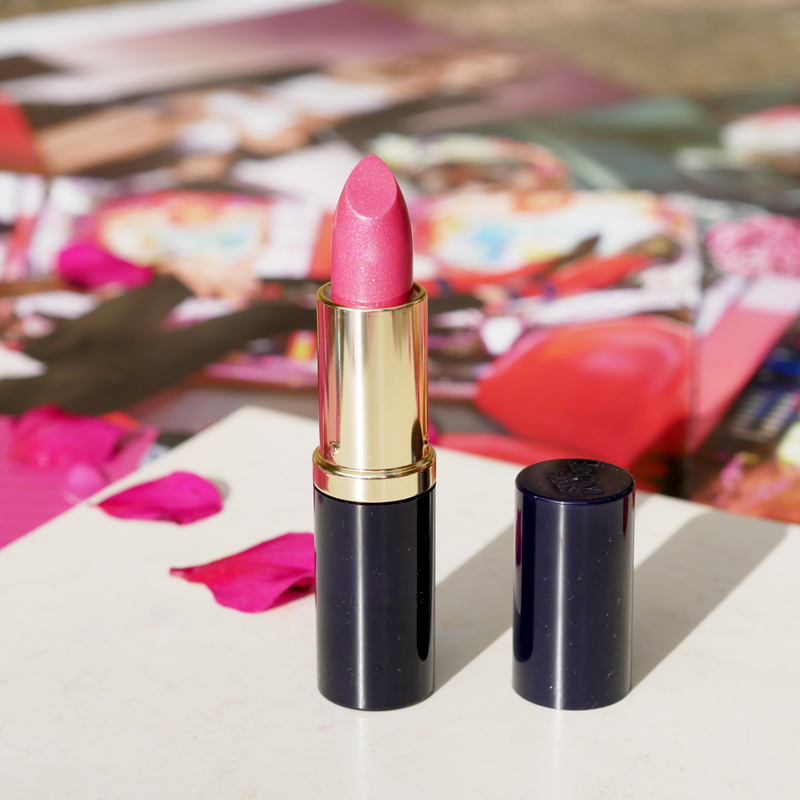 I can’t get enough of vivid pink on the lips at the moment and I’ve been rocking the shade all week! I feel like this fragrance and body lotion need a blog post all of there own! I found my signature fragrance years ago and it literally made me die and go to heaven. Then it got discontinued and I’ve been searching for a replacement ever since. The moment I smelt Modern Muse I fell in love it smells just like the one I fell in love with all those years ago. The best way I can describe it is like a musky Vanilla which leaves you questioning the smell as if your not sure whether you should eat it! 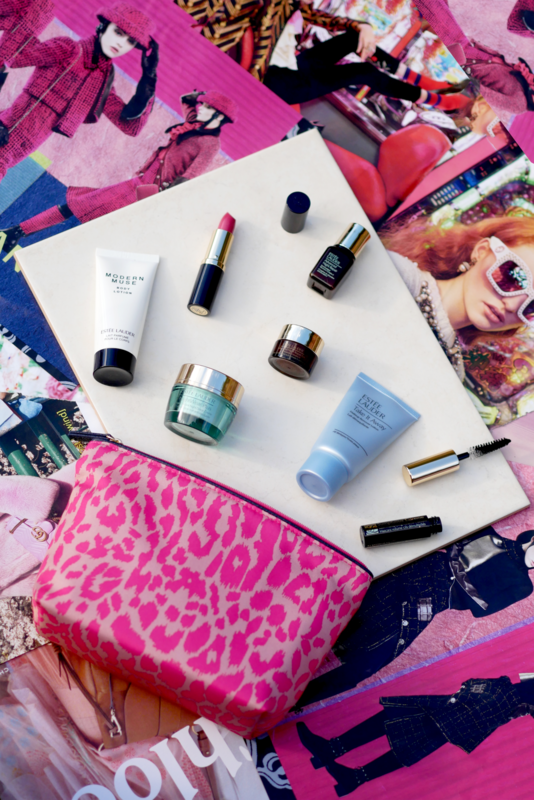 PICK UP YOUR FREE ESTÉE LAUDER GIFT AT DEBENHAMS WHEN YOU PURCHASE TWO OR MORE ESTÉE LAUDER PRODUCTS. CLICK HERE FOR MORE INFO!